Positrons are particles with the mass of an electron but with an opposite charge. Created only under special circumstances, positrons are attracted to electrons and often form the lightest of all atoms, positronium, in which the two particle, exhibiting hydrogen-like energy levels, encircle one another for a few microseconds in an ever-decreasing orbit until the positron annihilates with the electron to yield a pair of high energy gamma rays in the purest known example of Einstein’s famous relationship of mass to energy: E=mc2. Positronium was discovered in 1953 by Martin Deutsch at MIT. Measurements of the positron g-factor and of the positronium lifetime done by Arthur Rich (1937-1990) and his students at Michigan provided not only important tests of quantum electrodynamics but also useful methods for the study of condensed matter. 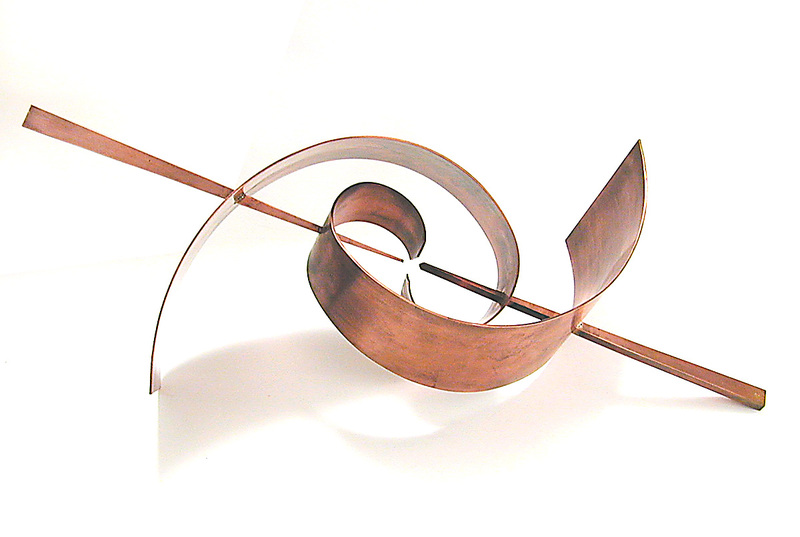 This sculpture references the mutual orbiting and ultimate annihilation of the electron-positron pair that comprise the positronium atom. 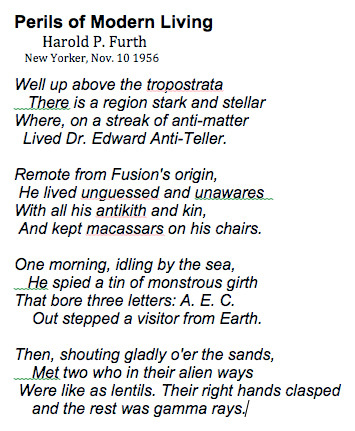 The title of the work, The Short, Rich Life of Positronium, alludes to Arthur Rich’s premature death as well as to the physics that made his reputation. In preparation I made a series of maquettes: First a very small one in cardboard; next a one at full scale laminated up from corrugated cardboard [photo], and then, after approval for installation on University grounds had been granted, to reduced scale versions in steel and copper: These were made in order to find the fabrication problems that might arise when making the full-scale sculpture in silicon bronze. 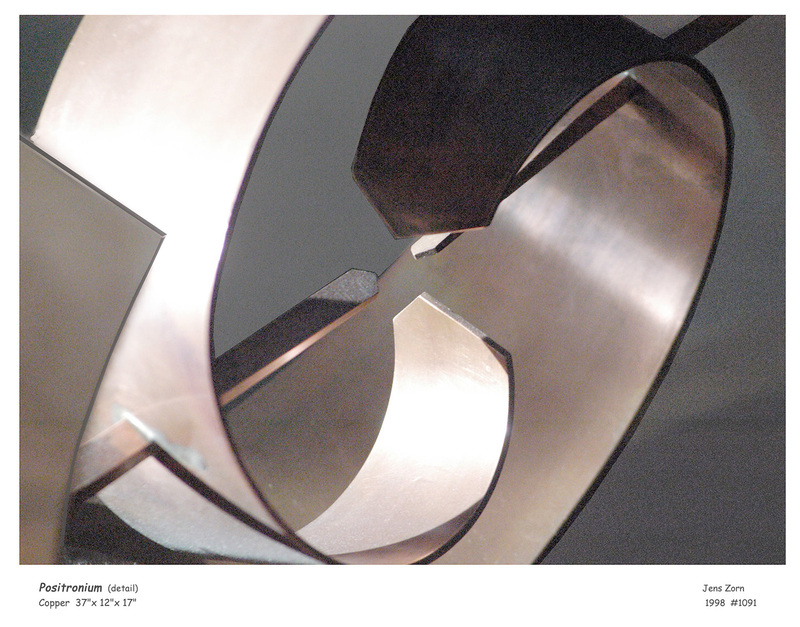 We found, for example, that the copper version was not rigid enough for public display and that even the bronze version would need some bracing to withstand the pulls to which it would be subject if installed outdoors. 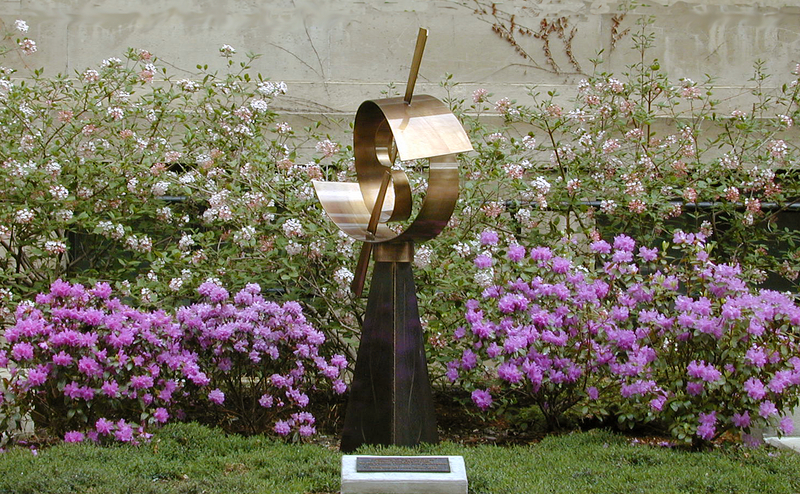 The bronze version was fabricated during 1998-9 in a collaboration between the physics instrument shop and the sheet metal shop of the plant department. 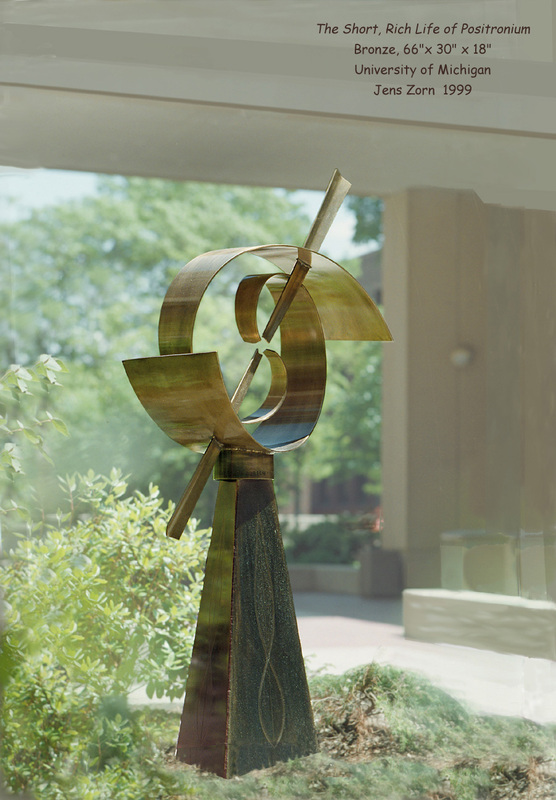 I did the final bronze patina at home, and finally the incralac finish coat was applied by the University’s paint shop. The work was installed in April of 1999, though the formal dedication with the Rich family present did not occur until 3 November, 2000. It stands in recognition of the research on the properties and practical applications of positronium that was done by Arthur Rich, David Gidley, Paul Zitzewitz and their students. 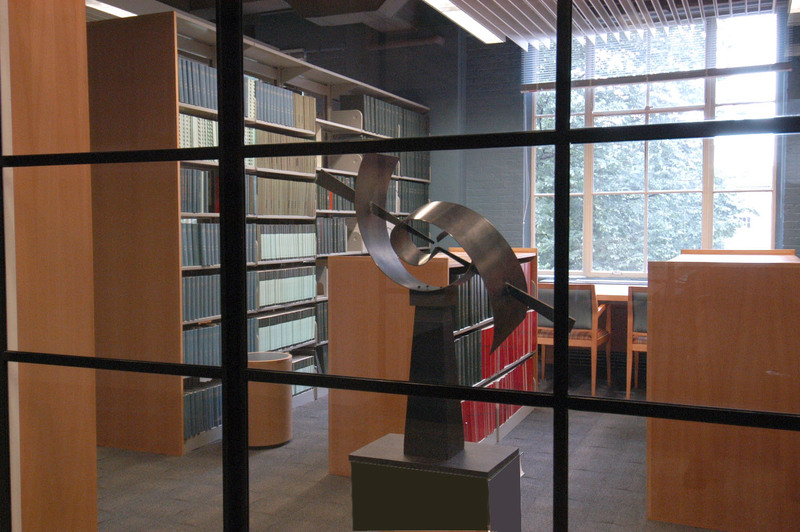 In 2007 the steel version of this sculpture was installed at the Massachusetts Institute of Technology to honor Martin Deutsch’s discovery of positronium. 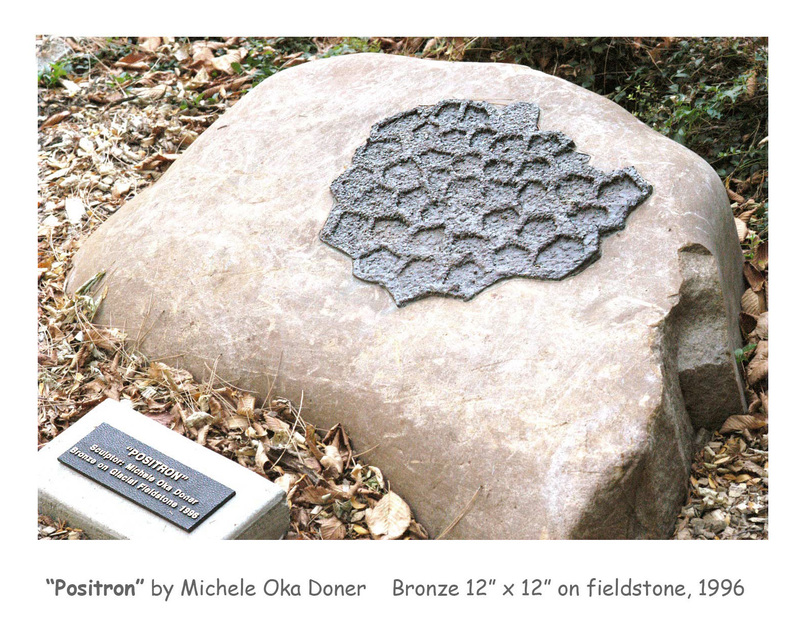 My work on positronium sculpture arose from a request to provide a complement to the 1996 bronze-on-fieldstone sculpture “Positron” by Michele Oka Doner that is installed by the front door of Randall Laboratory.